Sitting on the banks of the River Great Ouse, St Neots is a town in the Huntingdonshire district of Cambridgeshire. With a population of over 30,000 and some lovely properties in the area, there’s a thriving housing market in the town. At My Home Move Conveyancing we’ve been developing our expertise of markets like the one in St Neots since 2001, allowing us to bring a specialist, fixed fee conveyancing service to our clients in the area. When buying or selling property in St Neots, you need to instruct property lawyers to carry out the legal work on your behalf. 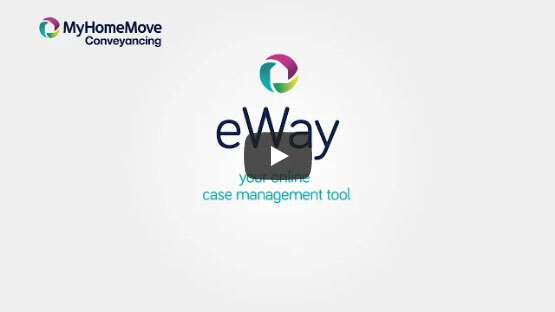 My Home Move Conveyancing offers our clients in the St Neots area an award winning level of customer service, a revolutionary use of technology and intimate knowledge of the local property market. Our fixed fee conveyancing service comes with no hidden extra costs to worry about. When you select us to be your St Neots conveyancers, you’ll know exactly how much you’re going to pay from the start. We operate a ‘no completion – no fee’ policy for total peace of mind, so you won’t have to pay us anything in legal fees if you don’t end up moving. We’ll assign you a dedicated conveyancer, who’ll take care of all aspects of your case right through to completion. You’ll have a consistent point of contact and regular, easy to understand updates. You’ll also get online access to your account, so you can check up on your move status 24 hours a day. At My Home Move Conveyancing we’re proud to assist homebuyers with our conveyancing services in St Neots, from those looking for something in the town centre, close to the train station on the eastern edge of town, or in neighbourhoods like Eaton Ford and Eynesbury. The average house price in Huntingdonshire is £247,429, while the overall average sale price in St Neots during the past year was £253,336. Most sales in this period involved terraced properties, which went for an average of £228,988. Flats sold for £169,095, with semi-detached houses fetching £254,748. With plenty of archaeological finds confirming that the local area has been inhabited for thousands of years, St Neots has long been a popular place to live. The town is named after a Cornish monk whose remains were moved to the Priory of St Neots in the tenth century, which brought the town prosperity as a place of pilgrimage, along with a market charter that was granted in 1130. More recently St Neots saw growth after the Second World War thanks to the effort to rehouse families from London. St Neots has attractions such as a cinema, a museum and a music venue, and plenty of modern amenities like shops, bars and restaurants. One of its biggest attractions is that it’s a feasible place to live for commuters to London, with rail services to the capital’s King’s Cross station taking just 40 minutes. The A1 road passes just to the west of St Neots, also providing easy road access to London as well as to the north of England. When it’s time to go on holiday, London Luton Airport is around 40 miles away. There’s a decent selection of schools in the local area for families with children to consider, which includes St Mary’s CofE Primary, Priory Junior School and Little Paxton Primary. At secondary level, the choice is between Longsands Academy and Ernulf Academy in Eynesbury, which both have sixth forms attached for further education. All properties in St Neots will fall within one of the following council tax bands.